Significantly freshened, the 2017 Hyundai Santa Fe Sport compact crossover gets new front and rear fascias, headlights, taillights, and trim panels. Sharp-looking inside and out, the refreshed 2017 Hyundai Santa Fe Sport fits between the bigger Santa Fe and the smaller Tucson, borrowing a few details from each. We think the Santa Fe Sport is the best-looking member of Hyundai's crossover SUV trio. Nearly one-fourth of the Santa Fe Sport's parts have changed for the 2017 model year, aiming to refine its cabin and improve ride qualities, though nothing has changed mechanically. The standard engine is a 2.4-liter four-cylinder with direct injection developing 185 horsepower and 178 pound-feet of torque. Mating with a 6-speed automatic transmission, the 2.4-liter model is EPA-rated at up to 27 mpg Highway. Though passable for fuel-efficiency, the Santa Fe Sport falls short of gas-mileage estimates for some competitive models. 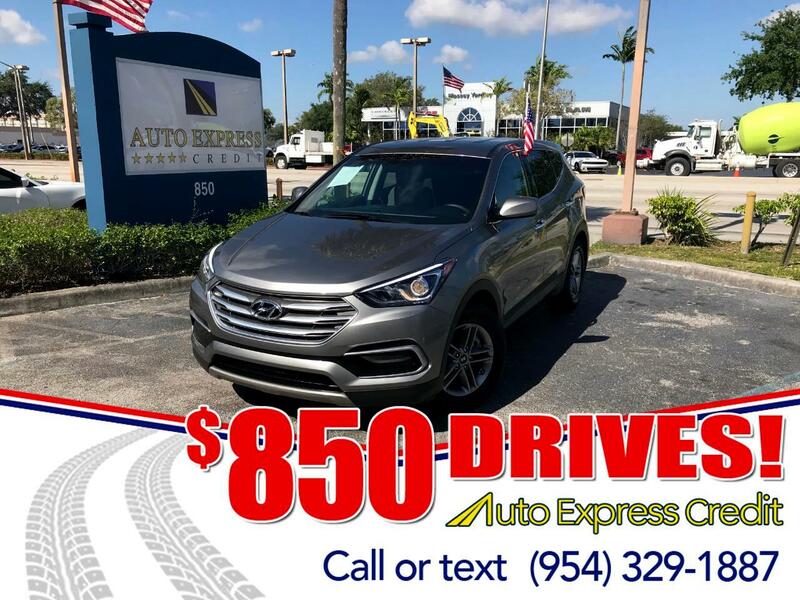 While priced right, the 2.4-liter engine, also used in the Sonata sedan, can feel breathless and overtaxed, especially when carrying passengers. We recommend the optional turbocharged 2.0-liter four-cylinder, which yields 240 horsepower and 260 pound-feet of torque. In that installation, the automatic gets slightly different gearing, to help quicken takeoffs a bit. Also shared with the Sonata, the 2.0-liter turbo comes in two trim levels, each adding popular features. All-wheel drive is available with either engine. In each Santa Fe Sport model, Drive Mode selection has three settings: Sport, Eco, and Normal. Precise handling isn't the Sport's principal talent, demonstrated by less-than-sharp steering feel. Crash-test scores have been excellent. The National Highway Traffic Safety Administration gave the Sport a rating of five stars overall, as well as for both frontal and side impacts. Rollover resistance brought a four-star result, which isn't unusual. The Insurance Institute for Highway Safety gave Good scores for its crash tests, including the small overlap collision, which simulates hitting a pole or tree. If equipped with optional forward collision warning, with automatic emergency braking, the Sport earned a Top Safety Pick Plus award.